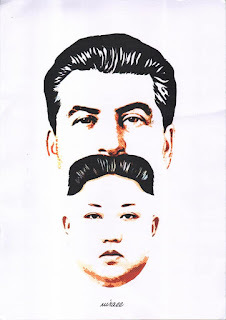 SEYED ALI MIRAEE (Iran) for his work “Communists” (Top). 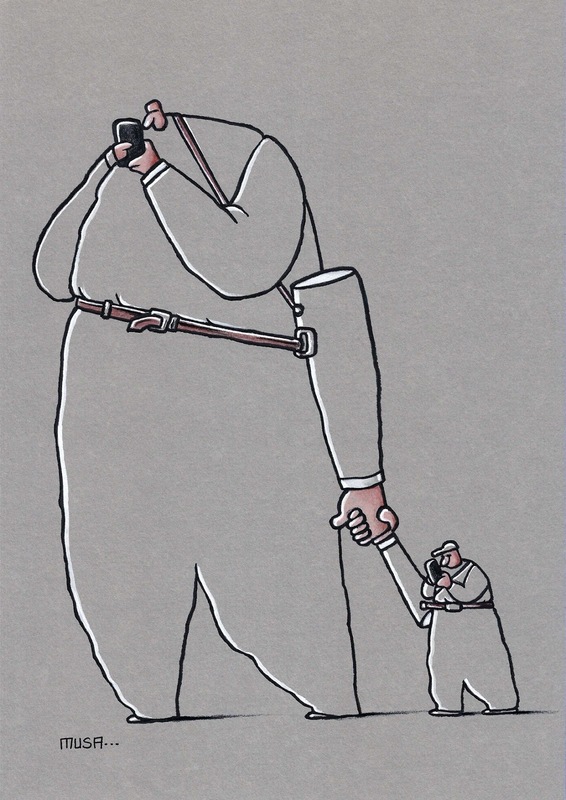 I prize, gold medal and money award of 6,000 PLN - SAJAD RAFEEI (Iran) for his work “A man hanging”. II prize, silver medal and money award of 5,500 PLN - SZYMON SZYMANKIEWICZ (Poland) for his work “Factory”. III prize, bronze medal and money award of 5,000 PLN - NIKA JAWOROWSKA-DUCHLIŃSKA (Poland) for her work “Dress”. ANDREI POPOV (Russia)for his work “Untouched snow”. 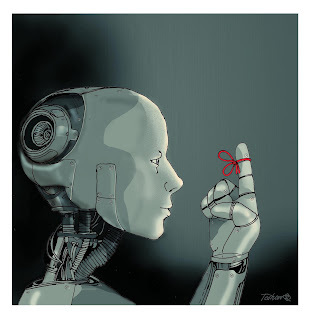 JERZY GŁUSZEK (Poland) for his work “Stop I”. I prize, gold medal and money award of 6,000 PLN - MICHAEL MAYEVSKY (Ukraine) for his untitled work. II prize, silver medal and money award of 5,500 PLN - SERGEY SICHENKO (Israel) for his work “Cell”. III prize, bronze medal and money award of 5,000 PLN - SERGEI BELOZEROV (Russia) for his work “Last leaf”. 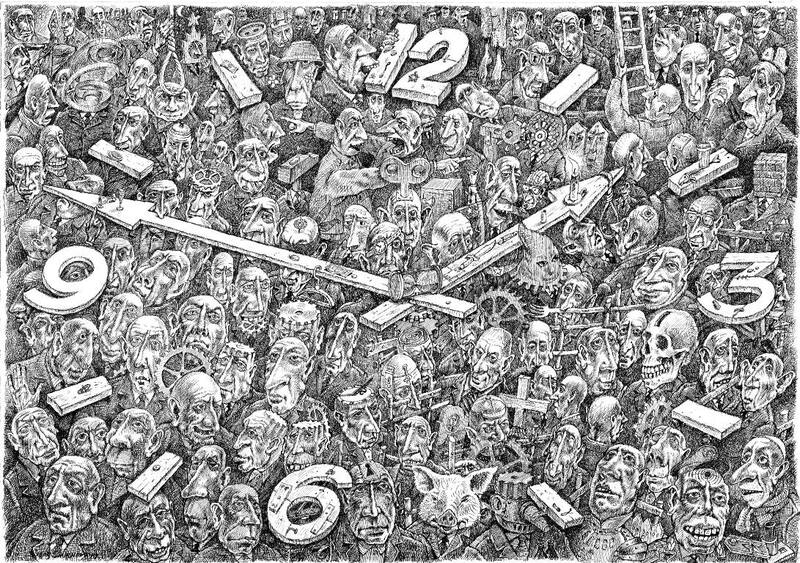 SHAHROKH HEIDARI (France) for his work “OFF-ON!”. OLEG DERGACHOV (Canada) for his work “Menu”. Wake up! This isn’t the 20th century anymore. The world is changing. Will it be better? Or worse? It also depends on us. Things used to be done differently. But now we have the opportunity to make a change. 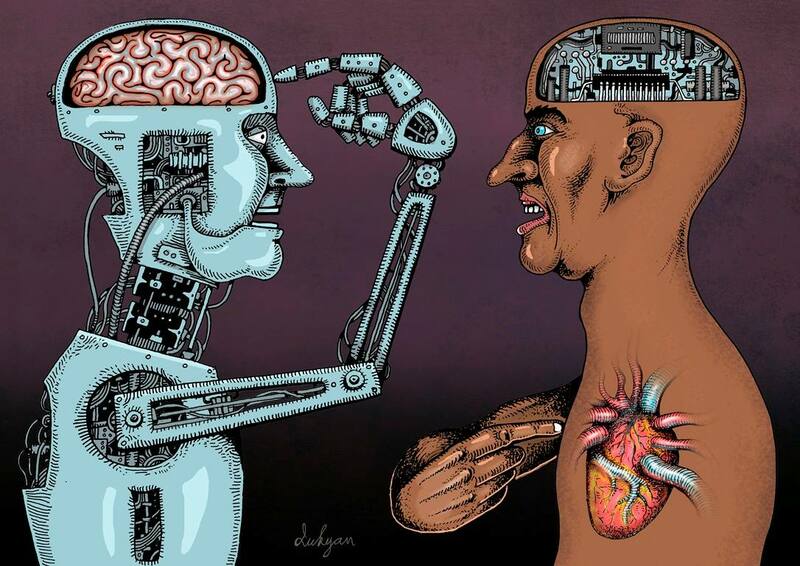 Show us what you think about the relationship between mankind and nature in the 21st century. Cartoons sent by emails should be in JPG format (300 dpi), sized at about 2500 pixels wide if in portrait format and 3500 pixels wide if in landscape format.  All participants must be 14 or older.  Previously published cartoons are not allowed for submission. 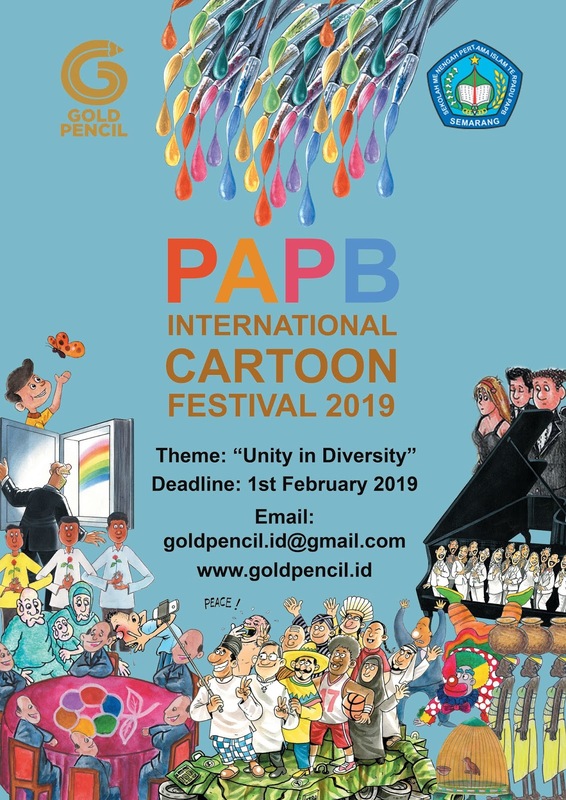  Each competitor is allowed to participate in the competition with a maximum of 3 cartoons. Works will be judged by a professional jury. The jury will automatically disqualify any submission deemed offensive or inappropriate or any submission that violates copyright law or the rules of the competition. A notification of the result of the competition will be sent to the provided email address by 6 May 2019. The best pictures will be part of an environmental awareness exhibition, which will be accompanying significal events and will be presented as a travelling exhibition as well. The works of the exhibition will be seen on the homepage and on the facebook site of Zöldbicikli Productions. 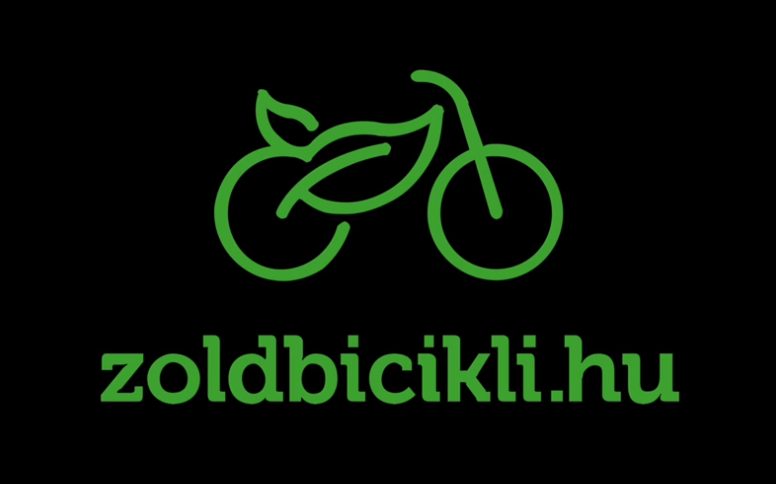 Further information about the competition will be constantly posted from 25 February 2019 on www.zoldbicikli.hu homepage. 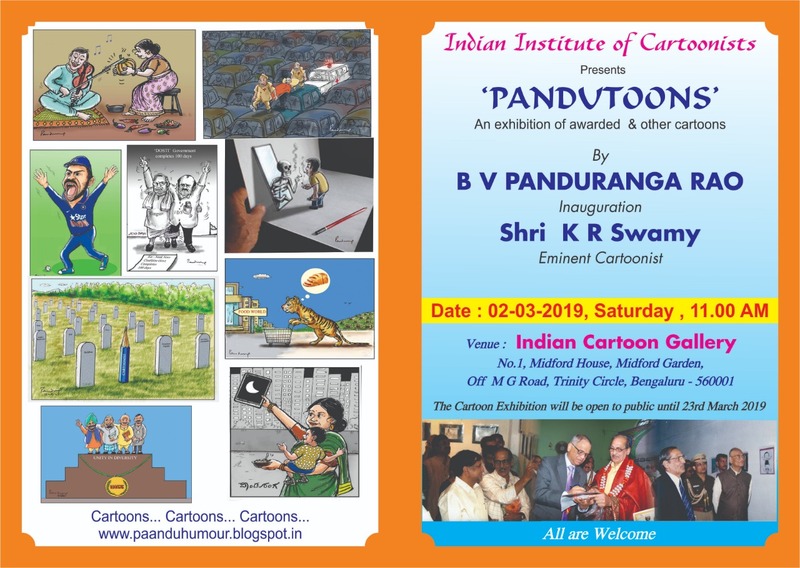 from 2nd to 23rd March 2019 at the cartoon gallery. 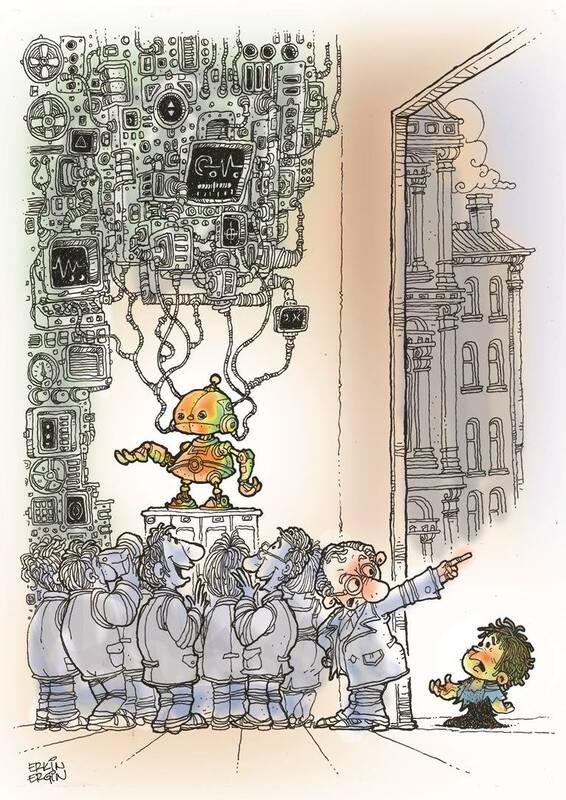 from national and International cartoon contests. 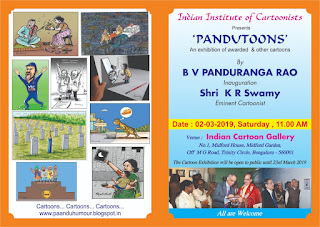 Dear friends, cartoonists, we are already half a century together! Pleased that during our fifty-years of existence we have created a network of exceptional cartoonists - collaborators and friends of OSTEN, we are proud to announce the 51st WORLD GALLERY OF CARTOONS Skopje 2019! 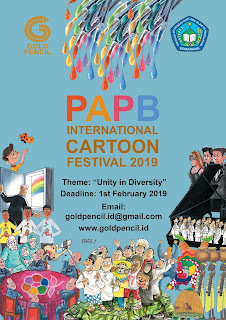 It's time to conquer the world with your cartoons again! with the note: NO COMMERCIAL VALUE! FOR EXHIBITION ONLY!!! – 30th April 2019 latest! 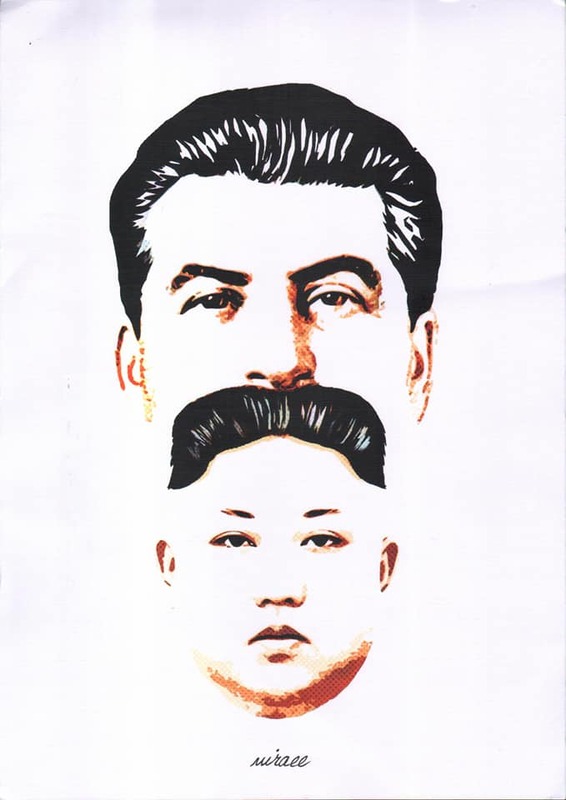 In principle, ORIGINAL, hand-drawn works are expected. 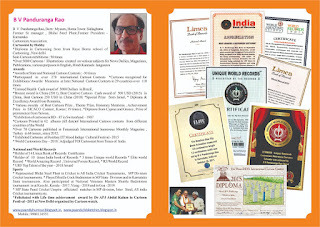 Only if the author works exclusively in digital technique, printed DIGITAL WORKS numbered and signed in pencil on the front will be considered. 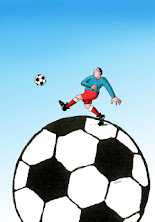 * In honor of the great Macedonian cartoonist Vasilije Popovic – Cico. Fill out the APPLICATION FORM, sign up, submit the works, follow the updates on FB, and do not forget to share this information with your colleagues and friends. 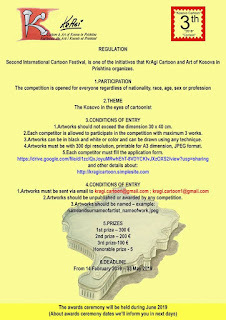 OSTEN is inviting you to participate in the 51st WORLD GALLERY of CARTOONS Skopje 2019. The pig is one of the first animals ever to be domesticated by mankind. It may therefore be a model to emulate or negate For some, the pig is a symbol of the rising sun, for others – a symbol of the Satan, lust or insensible hunger. 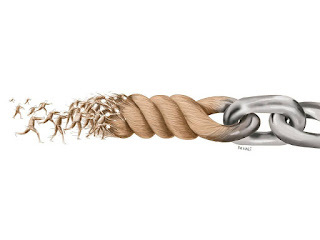 In some cultures it symbolizes wealth and good fortune. 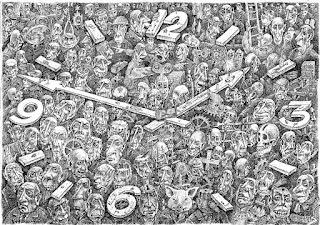 Is it possible for the contemporary cartoonist to portray the numerous conceptions, concerning the odd pair – Pig and Culture? On one hand, Bulgarian traditional beliefs see the pig as a filthy animal and as such, it cannot be used as a sacrifice. On the other hand, it is considered as untouchable to the influences of unclean spirits. Nowadays the word pig is used as an appellative for moral impurity as well as a sign of good health and fertility, reaffirming the controversial image of this animal. Should the terms pig and culture be considered as opposites? Does the pig’s image allow a wide interpretation in a cultural context? The pig, does it have a hidden dignity? 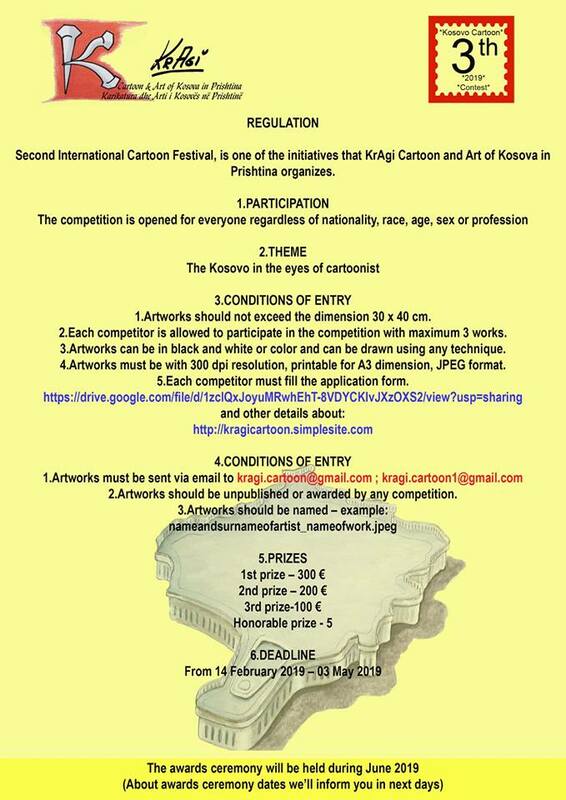 KrAgi - Cartoon and Art of Kosova in Prishtina Association announces the cartoon contest of the third International Cartoon Festival with theme "The Kosovo in the eyes of cartoonist”. and other details at: http://kragicartoon.simplesite.com. 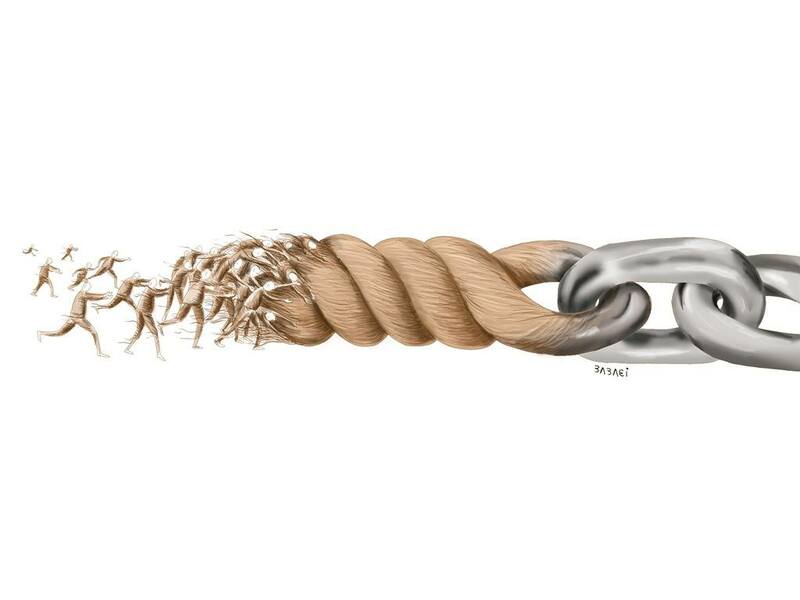 6th KalDer Bursa International Cartoon Contest 2019 is over. 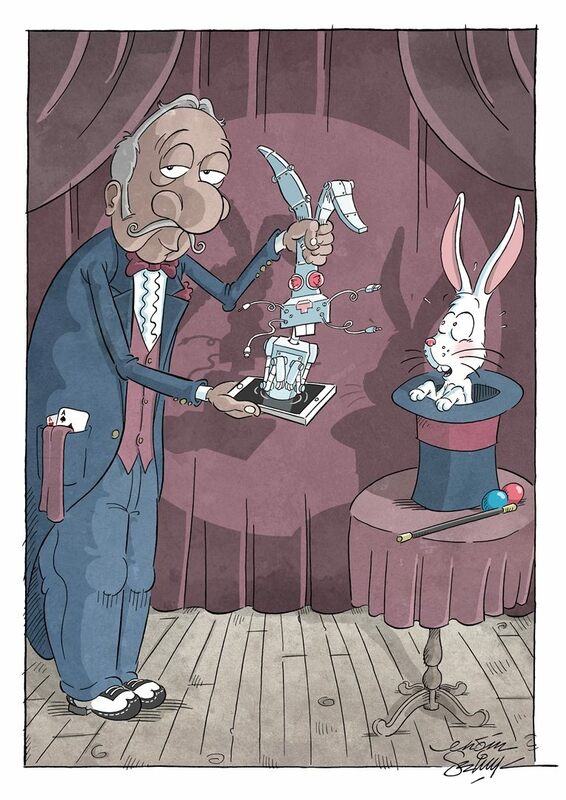 After the announcement, 900 cartoons were received from 57 countries by 379 artists. 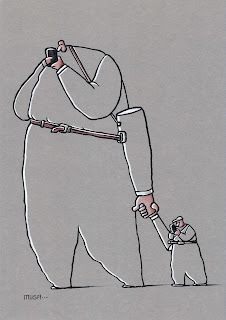 Anatolian Cartoonists Association Special Prize: Igor Lukyanchenko - Ukraine. 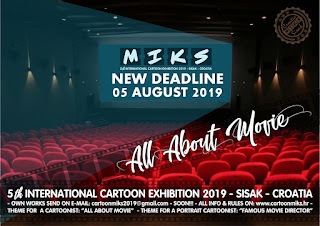 The 5th International Cartoon Exhibition in Sisak, Croatia: MIKS 2019: All About Movie! 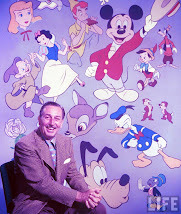 Make a cartoon on the theme of your favorite movie! 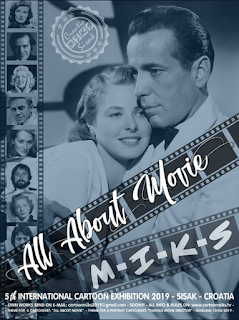 A) THEME FOR A CARTOONIST "ALL ABOUT MOVIE! 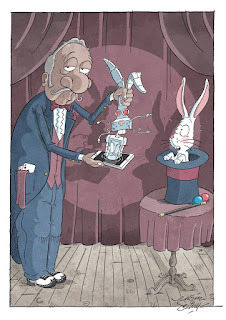 B) THEME FOR A PORTRAIT CARTOONIST: "FAMOUS MOVIE DIRECTORS"
Works for 5th MIKS must not be older than one year. Works that arrive at the festival and are older than a year, will not enter the competition for prizes. 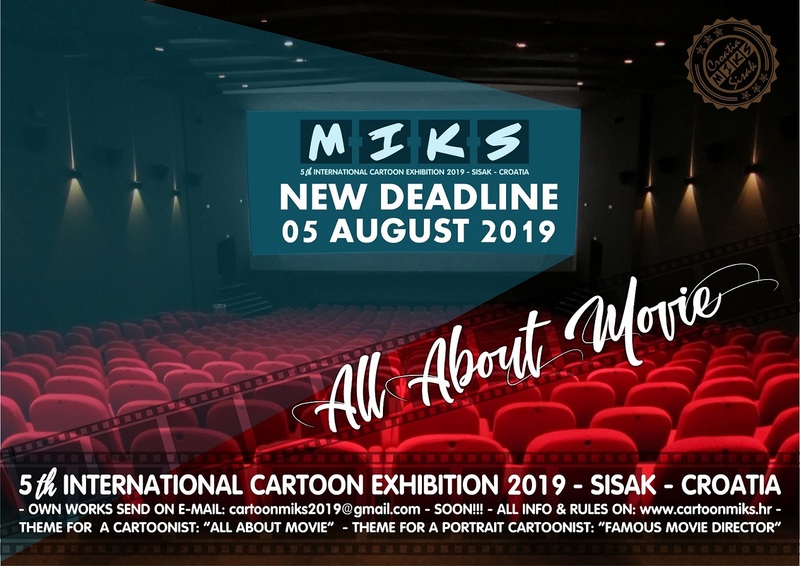 The International Association of Caricature MIKS organizes the 5th International Cartoon Exhibition MIKS 2019 in Sisak. The project leader and the President oft he Organizing Committee is Mr. Nenad Ostojić. The exhibition is open to all authors, regardless of nationality, age, gender or profession. A. THE THEME (TOPIC) 5th MIKS 2019 IS: THE MOVIE! fiction, comedy, war, witches, crime ... and everything that suits the subject). 2. 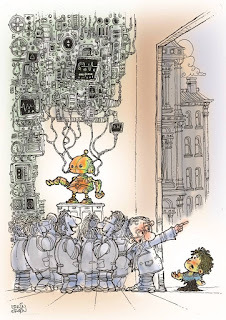 The theme for the portrait cartoonists is: Famous film directors (directors). Works must be originals and any kind of graphical technique will be accepted. 6. The artworks size can be A4 or A3 (300 dpi). 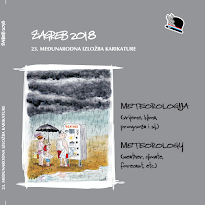 The Exhibitions will be open and staged in the Gallery of the City Museum in City of Sisak. 30.08 (august) 2019. to 30.09 (september) 2019.
a. Authors who enter the exhibition and the catalog are obliged to send a copy of work with self-signed signature via post mail. b. Awarded Works (Awards and Special Awards): The authors of the awarded works are required to send original artworks via post mail. c. All authors selected for the exhibition and catalog as well as award winners and acknowledgments will be informed in a timely manner (on e-mail). d. Authors who do not submit their works to the above-mentioned proposals will not receive prizes, diplomas and catalogs. • By participating in the exhibition, the authors agree that their works can be used to promote the exhibition (catalog, poster, media publication, etc.) without charge to the author. • Works that do not enter the exhibition are sent by post mail to the authors at the written request and at the expense of the author. The Chairman of Gold Pencil Indonesia.